You are invited to join Selenium Camp, the leading test automation conference in Eastern Europe, with two full days of conference talks and masterclasses running in 3+ parallel tracks. 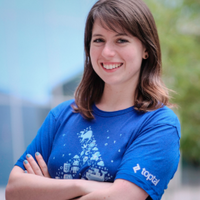 Igor Khrol, Toptal’s Team Lead of Analytics, will be one of the speakers at this year’s event. Igor will give a talk titled “How to Test Artificial Intelligence and Machine Learning Solutions?” In this talk, he will reflect on releasing machine learning and artificial intelligence services that should be tested. Based on the real experience of delivering such products, he will share how such testing is different from regular solutions and what are the possible problems. After the talk, you’ll have a starting point to test this AI and ML magic —so join Igor on March 3rd, starting at 4:25 PM at Stage B. The full event takes place at Mercure Congress Hall in Kiev, March 2nd and 3rd. For more information, please see the event posting.